Not many updates recently but I've been hard at work with organised chaos over on the layout. I will be replacing it soon, on that note I have had to put on hold laying the inner loop of the layout so it's onto the outer one for now. Over the last 3 days I have laid and stuck down the section of track you can see in the video above. The two sidings on the left of the video will have isolating sections at the end so until I go DCC I can store a loco in the siding whilst one is running and then swap it out whilst the other is in the other isolated section. I will use a SPDT latching switch to control which siding is live. The isolating section is long enough for a 2 (maybe 3) car DMU to fit in in easilly so any steam loco will be fine. I've had some trials and some testing of patience laying this track, I have had to take some time out and come back a few hours later and then things seem to work, maybe this hot weather doesn't help. 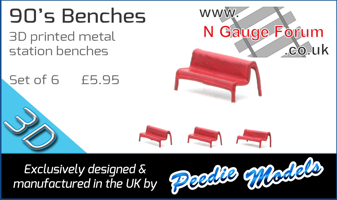 I've just got myself an LMS brake van, a 1st guard mk1 maroon coach and another mineral wagon from a model rail show. The brake van I am thinking I may use it on my abandoned siding and weather it up a lot and make it look grungy and forgotten. That or just remove the LMS decals and use it as is. Don't try to be a great man, just be a man. Let history make it's own judgments. After a little bit of playing with laying track I am going to have to adjust the baseboard not just the track placement. I have found that my outer loop in one corner which is meant to be 3rd radius is actually as tight as a 1st radius. I have spare ply in the shed from the build and I will be adding another 150mm wide by 650mm long piece onto the end. It actually gives me more scenic variety as I now intend to have a raised town area in one corner and I can have a double tunnel portal under the town and then they diverge (no points just wider wider curves) and come out seperatly with some hills and such between, so Nodinson Hills will have its two hills easily now. end of the board I already have a small overhang on one end which I can add support to without any extra hassle. Wednesday will be the build day, so for now due to work restrictions all track laying is on hold. I have added a photo of the proposed add-on. The black outline is the extra ply, the red/brown is the supports I intend to put across it. It wont support much weight but wont have to. If you have any suggestions on improvements please let me know. I think you've done the right thing. 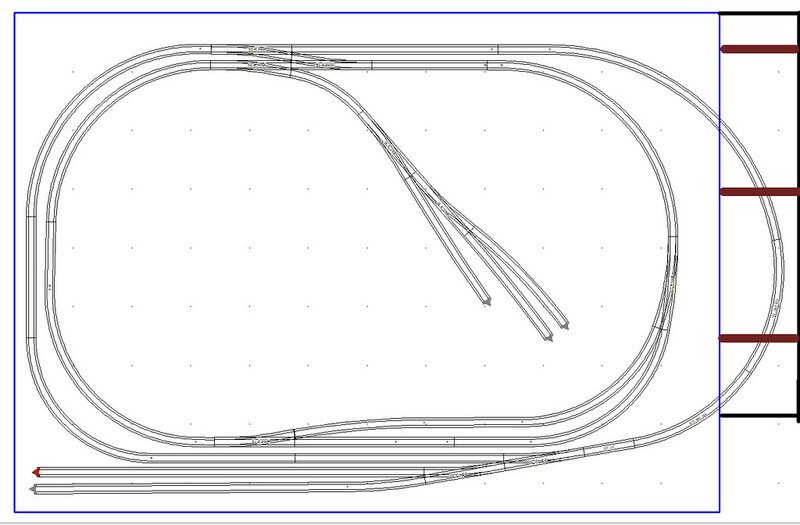 I use 1st radius for my little branch line with small electrofrog points but everything else is 2nd/3rd radius. Baseboard extension project is complete. Well used day off and i'm happy as anything with the results. Hats off to the amtech mini clamps for just being awesome and under £4. After the baseboard extension project was finished I had a mad afternoon of track laying, I was going to do it in sections but thought it would be easier just to lay the final half of the loop in one go. I am so happy that this works as well as it does, for my first layout. There was a slight shorting problem first thing this morning but that got sorted. As you can see at one point and only one the loco slows down on a bend, it is not over tight as it is 3rd radius for sure. I cannot see anything obvious to cause the slowdown but it only happens more pronounced going forward than in reverse. I've cleaned the track with my rubbers and after work I may have a go with IPA, any thoughts? I'm not sure where you have your power droppers soldered to the track, but maybe check there is one near the corner you are having problems on. There is a set of droppers 2-3cm before the slow down on the same section of track no joins between it and power. 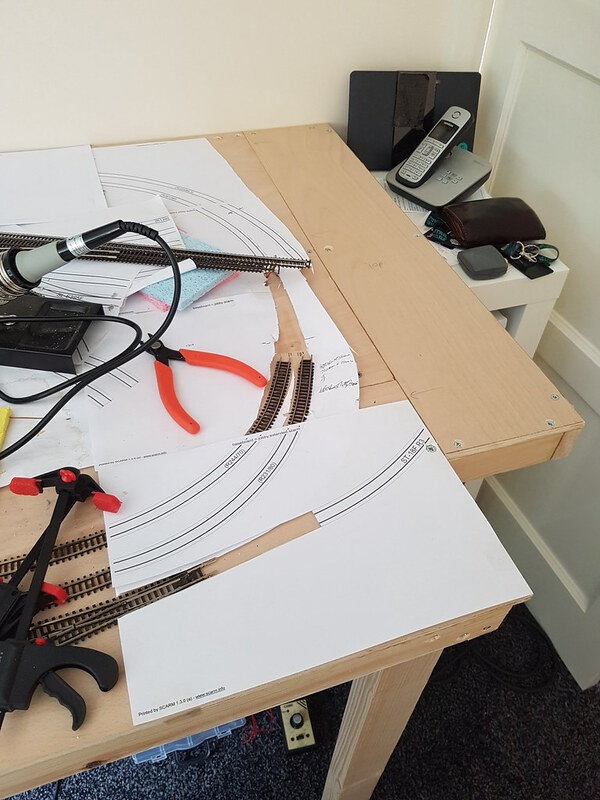 re-layed the track on one end of my outer loop yesterday, after leaving the copydex to go off completely overnight I am delighted to say that my loco goes round the curves without any issue at all. On a side note I have got myself a nice little bargain loco from a facebook trading group, a class 25 'Rat' in BR green for £30. Its the older tooling but i've got no thoughts about it being an issue with my layout. Small hitch on laying the inner loop, the curved point I need is out of stock currently in both local model shops and one wont get it back in until monday or tuesday, I could order online but it costs more with postage. I have 3 of the older class 25s and, though they whine a bit, I think they're pretty good. I'm of the school "if it looks like a class 25, it is a class 25"
I was after the class 04 he had initially but that went very quickly. The class 25 was one of the final ones he had and he reduced it from £40 to £30 and I was sold. Cannot wait to get it on the layout. Page created in 0.155 seconds with 38 queries.